Notice From Your Local Water Supplier? If you receive a notice from your local water supplier, don’t panic. Accurate can help, we have good relationships with the water suppliers on Long Island and The NYC DEP. Very often the notices are automated mass mailings and can easily be resolved. The problems arise when building owners receive several notices and do nothing until the water supplier threatens to shut off the water to their facility. Since there are so many water suppliers on Long Island it would be difficult to easily address all of the standard notices. Nevertheless, if you receive a notice, please email a copy or call and we will guide you through a pain free resolution. In NYC if you receive a notice we can guide you through a pain free resolution as well. We have engineers and designers on staff and this is all they do. A Professional Engineer (PE) or Registered Architect (RA) must prepare and submit two sets of plans and two applications originals (form GEN-236 New York City Version) for the installation of Backflow Prevention Device(s) to the Bureau of Water and Sewer Operations, Division of Permitting and Inspections for approval. All submissions must have original ink signatures and original ink or impression seals. Plans and applications must be corrected and resubmitted as necessary until acceptable. When the plans are approved, the Division of Permitting and Inspections issues a plan approval letter to the customer and returns one copy of the approved plans to the PE or RA of record. 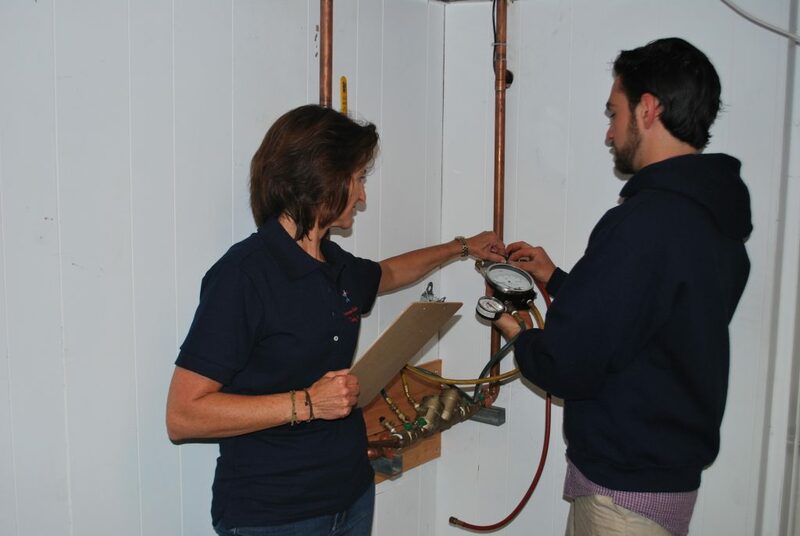 Installed by a New York City Licensed Master Plumber in accordance with the approved plans (installations must also meet the Building Department’s and the Bureau of Customer Service’s requirements). Tested by a State Certified Backflow Prevention Device Tester who is either a Licensed Master Plumber or employed by one. Inspected by a PE or RA and certified that they have found the installation to be in accordance with the approved plans. Finally, a completed “Report on Test and Maintenance of Backflow Prevention Device” (form GEN-215B), certifying the job, must be submitted to DEP within thirty days of installation of the device.